The Tocobaga Indians were the native American tribe of people who lived in the vicinity of Tampa Bay in Florida, their archeological remains were found in St Petersberg, Tampa, Safety Harbor and from the surrounding districts. They were a maritime tribe who survived on fish and whatever they could hunt in the locality or trade with distant tribes. The Tocobaga Indians were highly developed with a social structure based around chiefdoms with institutionalized social inequality between the various classes, these were similar to the caste system found in other cultures like the medieval Europe and Hindu India. Indian people in North America moved into the Florida peninsula around 12,000 to 14,000 years ago, these were nomadic people and they rarely established a permanent presence being hunters. Nearly 4,000 years ago, the native American Indian tribes started building settlements along the coastal areas particularly in the south. Around 550 BC, Manasota culture was starting to establish and developing religious customs that continued until their last known settlements disappeared in the 8th or 9th centuries. Nobody knows what happened to the Manasota culture, it’s not known whether they were absorbed by Mississippian tribes who moved into the area or they died out leaving abandoning their former homes. 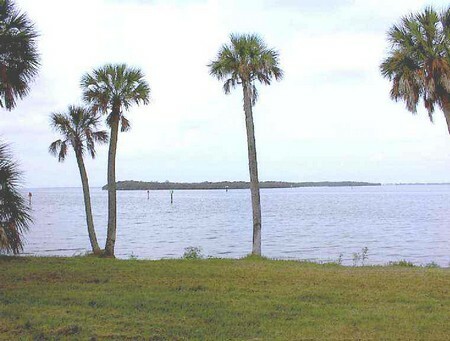 The Tampa Bay area previously had been the northern limits of the Manasota culture but around the same time as Manasota culture disappeared the Tocobaga Indians started building cities and settlements around the Tampa Bay area and establishing a culture that survived through to Spanish colonial times. 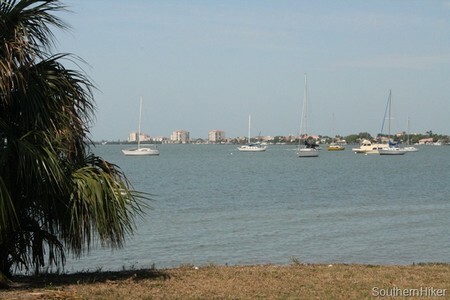 It was centered on an area now known as Safety Harbor City and the city lends its name to the Indian culture that developed there from 800 AD, the Safety Harbor culture. Many consider that the Tocobaga Indians and the Safety Harbor culture are the same, although it is not correct to use the two names together since outlying tribes that were not members of the Tocobaga Indians but were also part of the Safety Harbor culture. They were characterized by the building of truncated pyramidal mounds on which the chief’s house and often the chiefdom’s temple were built. The Tocobagan Indians are believed to be the most peaceful although their society did practice slavery and a person generally remained in their caste with little chance to improve to a higher status. Slaves were obtained through raids on other tribes and capturing of prisoners and evidence suggests that each chiefdom would only permit outsiders to live among them if a marriage had been arranged between a nobleman and a woman from another chiefdom. The Tocobagan villages were highly structured and always built around a central plaza which would feature the pyramidal mound in larger settlements upon which the chief’s house and the village temple would be built. Below the mound and around the edges of the plaza were the homes of the village nobility. The homes of other villagers were located on the outskirts of the village. Chiefs in Tocobagan tribes were considered holy similar to gods who demanded absolute respect of their subjects. It is believed the building of mounds was designed to strengthen their position by forcing the other villagers to look upwards whenever the chief appeared. It was by the early 1500s when the people of Tocobaga tribes started to notice ships of the Spanish explorers on their horizon and in 1528 the first contact happened between Tocobaga Indians and Spain with the arrival of Pánfilo de Narváez. Having been appointed governor of Florida de Narváez embarked on a mission to suppress the Native Indians. History remembers that de Narvéaz sailed with five ships and 300 men landing near Tampa Bay. Battles broke out almost immediately with massive losses on both sides. Pánfilo de Narváez and about half of his men managed to get past the Tocobaga before heading inland, although they were not lucky and de Narváez perished with almost all of his men while trying to return to their ships. Hernando de Soto was another explorer who visited the Tampa Bay area in 1539 and made a detailed assessment of the villages and tribes of that area. During his visit, he noted only small villages and chiefdoms which would have been of no threat to an expeditionary force, although de Soto did at least give the names of several other small tribes who were living on the southern boundary of the Tocobaga domain, the names were Luca, Guacozo, Vicela, Tocaste, Pohoy, Mocoso and Uzita. The Tocobaga and the previously mentioned villages suffered terrible diseases in later years brought by the Europeans and which their immune systems were ill equipped to deal with, this drastically reduced their population. The Tocobaga were so weak that in 1567 when Pedro Menéndez de Avilés, 20 of his men and a war party from the much more powerful Calusa descended on the Tocobaga who were at war with the Calusa, the Tocobaga were only able to defend their main settlement with 1500 men. The Tocobaga were the dominant Indian tribe in the Tampa Bay area, although of force of 1500 men would have been no match against battle seasoned conquerors, the Tocobaga was fortunate that Spain was in no mood to fight having expanded rapidly through the Americas and facing native rebellion movements in almost every colony. Despite disease and illness, the Tocobaga and Pohoy nations regularly raided Spanish settlements on their borders leading to moves by Spain to crush them once and for all in 1612. This was an event that lived on in disgrace for its miserable failure to achieve its aims. Over a hundred years later in 1718, Spanish missionaries had managed to bring most of the Indian people from St Augustine to the Tampa Bay, although tribal prejudices were hard to completely eliminate, the Pohoy and Tocobaga being at war after the Pohoy had allied themselves with the Calusa several years before. War with England to the north and France to the west had plagued the Spanish colony in Florida and there were massacres of Indians allied with Spain orthose who had been converted to Christianity had effectively destroyed most Indian tribes, by the 1760s the Tocobaga were among the very small number of remaining Indians. It is a sad reflection on the European colonization of Florida that when Spain finally agreed in 1763 to give up its claim and evacuate all Spaniards to Cuba, the last of the Tocobaga went with them and effectively ceased to exist as people. Native Americans who are currently living in Florida for the most part migrated to the state after the Spanish and their Native Indians had left. The Tocobaga culture disappeared from the history in 18th century. In Florida’s Philippe Park, a Tocobaga Indian mound is situated which is a National Historic Landmark known as the Safety Harbor Site.